I didn't take this picture, but it would be hard to deny that stoats are quite appealling. After Christmas away from the Chayne, I headed up this morning to inspect the damage caused by more than a month’s uninterrupted snow cover. The ground is still as hard as a board beneath half an inch of slushy mud, but the grass is looking decidedly fresh and invigorated after a month free from grazing. The last two times that I have been up to the Chayne, I have seen a stoat. I don’t know whether or not the cold weather is making a difference to their behaviour, but after seeing my first stoat (the same one twice) in more than a year of observation, I can’t help wondering why he is so suddenly conspicuous. Both times I have seen him, I was incredibly impressed by his speed and agility, and it was thrilling to watch him soar over obstacles as if he were being pulled by an extremely rapid lead. I can only assume that it was the same stoat twice because the two sightings took place within four hundred yards of one another, and on both occassions I noticed that it had an unusually dark brown head. The second time I saw him, he vanished into a pile of stones and poked his head out to watch me with a quizzical expression. It is worth noticing that none appear to have changed into their traditional white pelage after more than a month of snow, although from what I can gather, the transition seems to take place more on an individual basis than regionally. It could be that there are some white ones around while others did not make the change. Stoats really are charming little buggers, and it was with a degree of regret that I set up a couple of traps this afternoon near to where he likes to gambol. Hopefully he can be dispatched as soon as possible and I can make a proper start on stoats and weasels as soon as my new traps have been weathered underground for long enough to lose their human smells. When will it end? Parts of Galloway have had less than 24 hours of visible green grass in four weeks. It’s now beyond a joke. With shooting wild birds in Scotland provisionally banned for another fortnight as of tomorrow, it looks like there is going to be no let up in this relentless cold weather. It’s outstaying its welcome, particularly since I am having to walk a five mile round trip to the Chayne every other day to feed the pheasants. Shooting yesterday, I saw more woodcock even than last year, which was a bumper season for those scandinavian visitors. Most seemed quite unperturbed by the snow, but one or two were decidedly sluggish and wobbly. 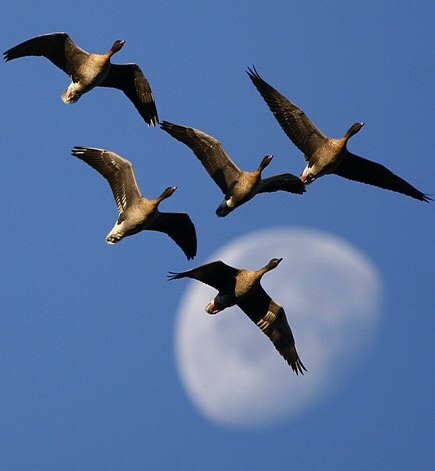 To some extent, the ban on shooting geese and ducks is a little controversial, but there can be noone who will mind sparing woodcock through the cold weather. Geese in particular will always be able to scratch up some grass from somewhere, and while they get hungry, they never really run the risk of starvation. By comparison, woodcock are totally unable to feed during cold weather and literally waste away into nothing when it is cold. Ideally, woods with woodcock should be left undisturbed during a ban because flushing them will lose their warmth and energy at a time when they need every bit of both, but pheasant shooting needs to push on and not being shot is the best that they can hope for. With no sign of a let up on the long range forecasts and the possibility of sleet and snow on boxing day, it looks like its going to be a chilly christmas. Out ferreting again today, I was amazed by the sheer quantity of geese that are out and about at the moment. From what I can gather, the pink feet have been forced down from Islay and the west coast of Scotland by all this hard weather, and there are now record numbers of geese on the Solway. It certainly seems to be true; I can’t remember a time when I have seen or heard so many birds. When I got my ferrets in July, my main motivation was to use them bolt rabbits for shooting. As the autumn came on and I started to get interested in nets, the idea of shooting slipped away a little bit and I began to concentrate on catching rabbits the traditional way. Realising that it had been just over a week since I last had the ferrets out working, I took them up to the Chayne this afternoon and for the first time, I left the nets at home. There is one reasonable rabbit warren on the farm, and I have been saving it for the perfect occassion. It’s in a nice, open position with no cover for hundreds of yards in any direction. 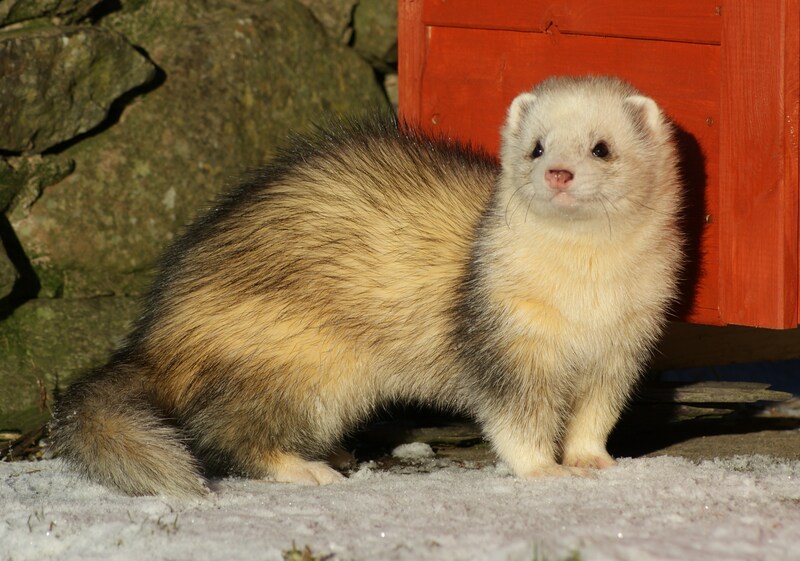 As I opened the ferrets’ box and let the first boy in, the shotgun lay on the grass behind me. Rabbit tracks in the snow led back and forth from the warren, and I was certain that it wouldn’t be long before we had made contact. Sure enough, the ferret was nowhere to be seen. If there are no bunnies at home, both ferrets come out of the warren and look for me with expressions of disappointment. The fact that the ferret had gone in and stayed in looked promising. After a quarter of an hour, he reemerged with a pair of rabbit fur slippers. He had clearly been digging at something, but was beginning to lose interest in it. Catching him up, I swapped him for the other ferret; the real fighter; the one who will never give up at any cost. As I had expected, he vanished and stayed underground for two hours. Stupidly, I hadn’t attached detectors or even brought a spade, so as the cold began to bore into my bones, I realised with horror that I had no way of bringing the situation to a conclusion. The ferret would never leave the rabbit, and I would be stuck on a snowy hillside in sub zero conditions until the tenant farmer found me in April, hunched up like Jack Nicholson at the end of The Shining. It was a mile’s walk back to the farm buildings, but realising that I had no choice, I stuffed boulders into all the holes and set off at a jog, hoping the exercise would warm me up. Half an hour later I was back with a shovel and a steel probe. There was no rumbling underground as you’d expect from rabbits on the move; only a soft scraping sound from beneath the snow. Ten minutes of digging and the hole suddenly collapsed into the rabbit tunnel. A little face peered out, unrecogniseably smothered in mud and fluff. The rabbit was still alive, but so badly tufted that it could hardly move. I dispatched it and handed out its liver to the determined ferret, then packed up and jogged back to the car again. Greedy gits; sheep can be a real pain if you're trying to plant trees. 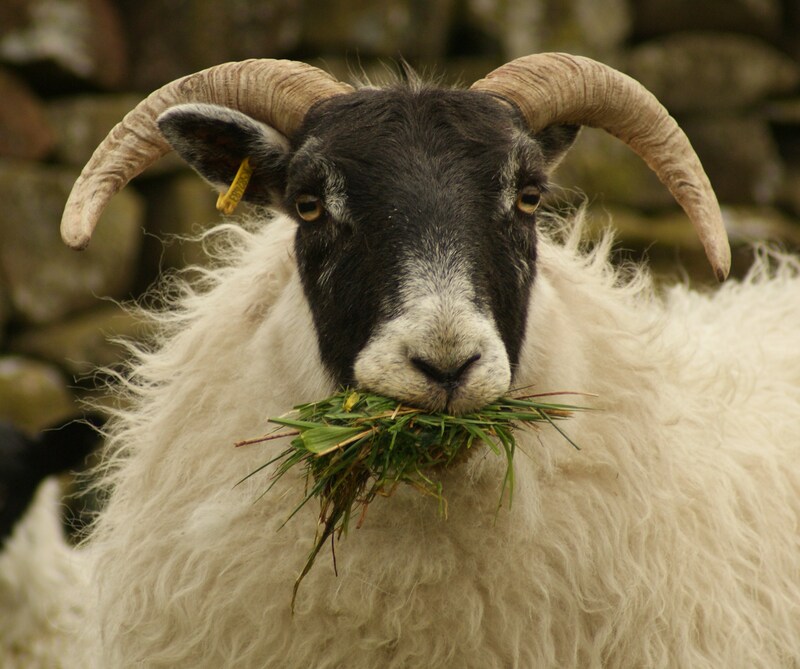 Coming to understand that sheep have an important part to play in modern moorland management has been vital to my project, but I must say that it’s sometimes hard to swallow. Of all the small fenced off areas I have set aside for tree planting, sacrificial crops and heather experiments, the sheep have resented some more than others. The heather laboratory has withstood some fairly intrusive probing in July and August, and several of my tree fortresses have been buffeted by wooly heads over the year, but it was only in the last few days that the livestock has done any real damage to my work on the hill. I headed up to the farm this evening with some heavy timber and nails to block up the gap, and I can only be grateful that my small scattering of larches and willows have not been touched, thanks to the fact that they were placed inside tree guards. As the winter goes on, the sheep will get hungrier and hungrier, so I had better look to reinforce all the other enclosures in case there are other break-ins elsewhere. I just thought it’d be worth commemorating the fact that the red and black grouse shooting seasons end today. 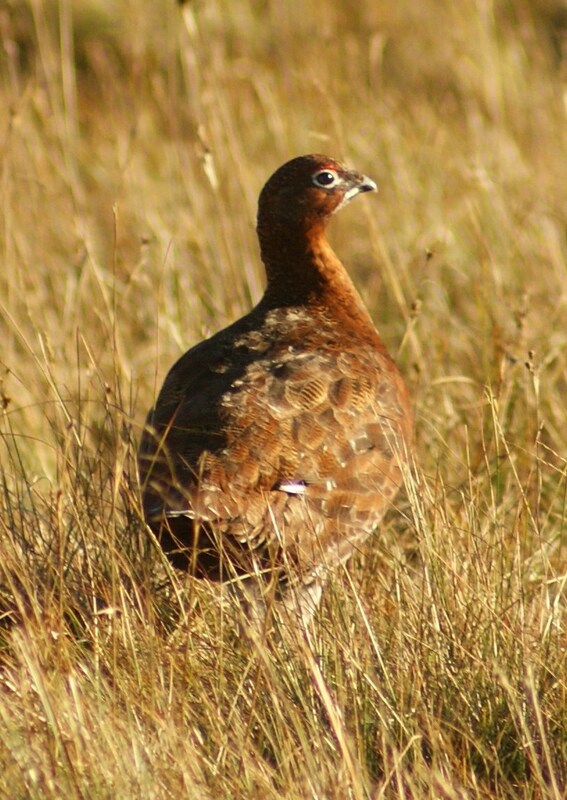 For the first time in several years, I didn’t shoot a single grouse this season, but thanks to this blog and the many people I’ve met while writing about Britain’s uplands, I’ve seen more birds this year than ever before. Here’s hoping they’ll have a good winter and a productive 2011. Less than twenty four hours after abandoning the Chayne as a hopeless cause because of the weather, the hillsides have totally emptied themselves of snow. My first reaction on looking out of my bedroom window this morning over the green fields was that I shouldn’t have sprung my traps. Any significant change in the weather always sends vermin moving into different patches and along different runs in their territories, and the fact that I hadn’t caught anything in the snow might have meant that I could have caught something as soon as the snow vanished. Then again, it seemed sensible to spring the traps because I couldn’t be certain of checking them everyday, but nature always seems to throw up these frustrating dilemmas. With hopes pinned on a single trap left set by the farmhouse so that the shepherd could keep an eye on it, I headed up to the Chayne this afternoon in the car, a feat I couldn’t have managed twenty four hours ago. As I had hoped, the trap had sprung. Wikipedia informs me that the name given to a male weasel is a “jack”, and that was precisely what I had caught. The tiny beast had been grabbed around the neck by the Solway Mk. 4 Spring Trap, and it was satisfying to see that it had been taken out quickly and painlessly. It is the first weasel I have ever caught, and given that I have seen stoat and weasel tracks running together over the Chayne, it looks like it won’t be the last. 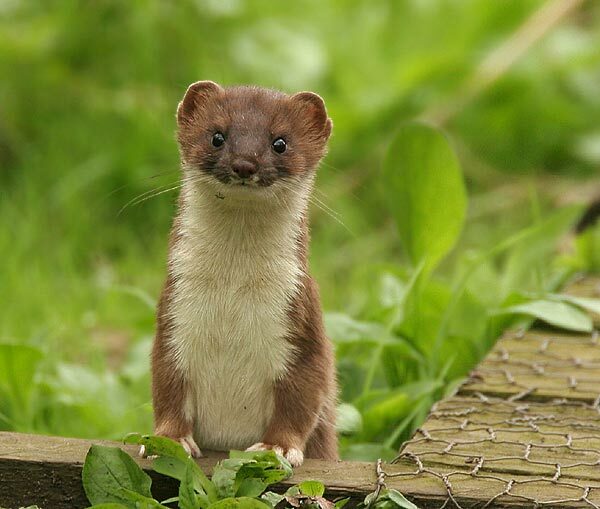 Along with stoats, weasels can be a real problem for songbirds and ground nesting birds, stealing eggs and taking chicks when they arrive in the spring time. The weasel I had caught was a stunning little beast, but I can’t afford to be sentimental when trying to preserve seriously endangered birds like black grouse.